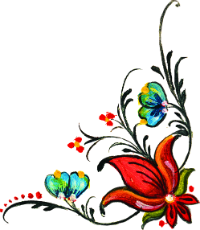 Polish cuisine is hearty and filling, and though some may think the Polish diet is all meat and potatoes, that is far from the truth. With its rich soups, innumerable salads and side dishes, tasty fish and vegetarian meals, colorful and delectable desserts, and yes, meat and potato fare, this cuisine consists of a wide variety of dishes incorporating a broad selection of cultural and regional influences that will have you licking your lips. Organized by course, this cookbook features more than one hundred recipes, including beet soup, cucumber salad, potato pancakes, Hunter’s Stew, pork and rice stuffed cabbage leaves, traditional “babka” cake, and of course, pierogies! Numerous recipes for veal, chicken, kielbasa sausage, pork, and beef dishes make this a great and thorough cookbook that is a fantastic addition to any kitchen. 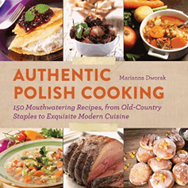 With easy-to-follow instructions for simple as well as more intricate dishes, a section on traditional holiday meals, estimated cooking times, and suggestions for healthy ingredient substitutions, this cookbook will teach anyone how to cook delicious Polish food. For those wishing to re-create their grandmother’s favorite recipe, or those wanting to experience a new cuisine, Authentic Polish Cooking will bring a bit of Eastern Europe to your home.